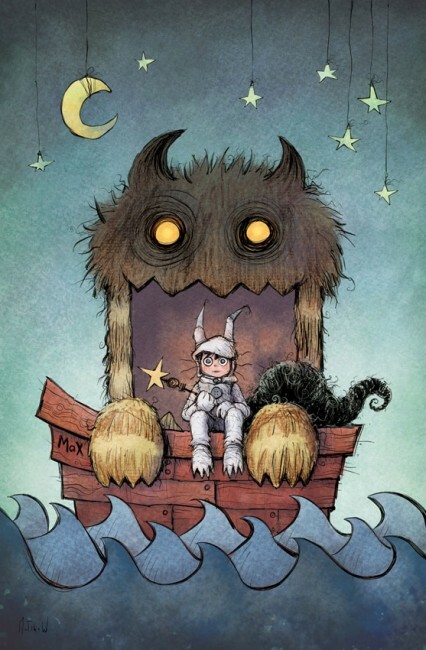 EPBOT: June Art Roundup: Wild Things, Sailor Moon, 80's Cuteness, & More! Lots of cute thing this month! 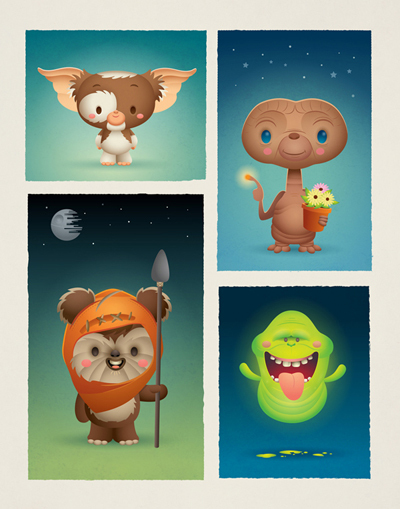 I just love that last one, the death star behind the ewok is so adorable! I love that Maleficent piece. She is my favorite villain. You promised smiles on Facebook :D :D :D Thanks for the smiles on a dreary day! OMG, those top ones. I love them so much! 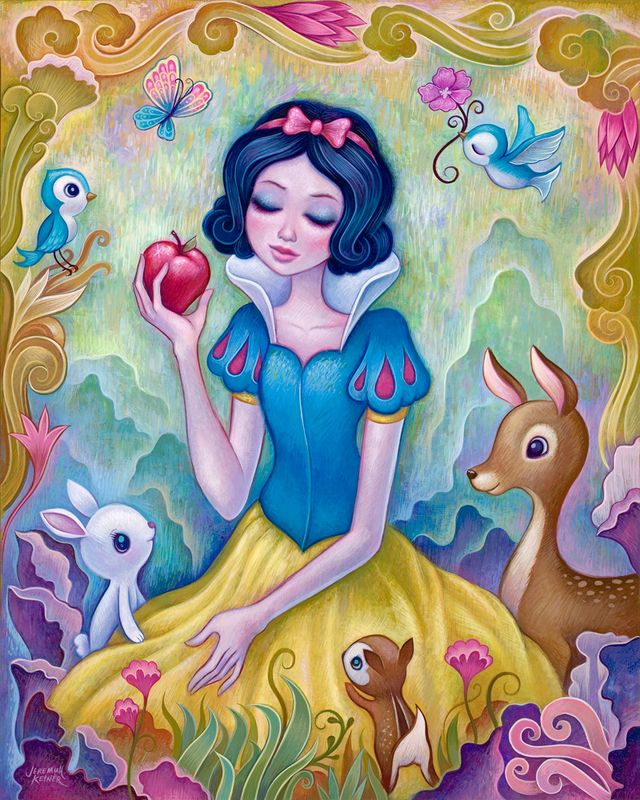 And that GORGEOUS Snow White. 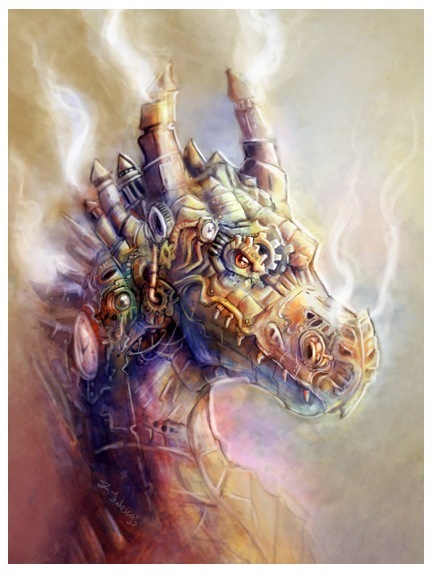 That steampunk dragon print is GORGEOUS! Super Adorable! I LOVE LOVE LOVE LOVE LOVE the Winnie the Pooh one! Love the selections that you find!!! Your art roundups have led me to make some excellent Christmas and birthday gifts! Thank you! I have been very into dragons lately (I blame HTTYD2) and that steampunk dragon is perfection! You always find the most amazing art Jen! Love the DC Derby Babes and the Allo is close enough...too cute! So cool!!! I absolutely love the realistic Pooh art. I'd have put that in my boys' baby rooms for sure! (They were Classic Pooh themed.) The clockwork Marvel Heroes would be awesome for my school. We're doing a Super Hero theme in the library this coming year, and the kids would love them! Please pick me. Call it a birthday present. You always find the cutest things! Love them all! So many greats today, Jen! I love them all. The fawkes is so cute, and those steampunky ones are beautiful :) If you haven't seen it you should check out shopmissella on etsy mostly crafty cats but this one has a star wars element! 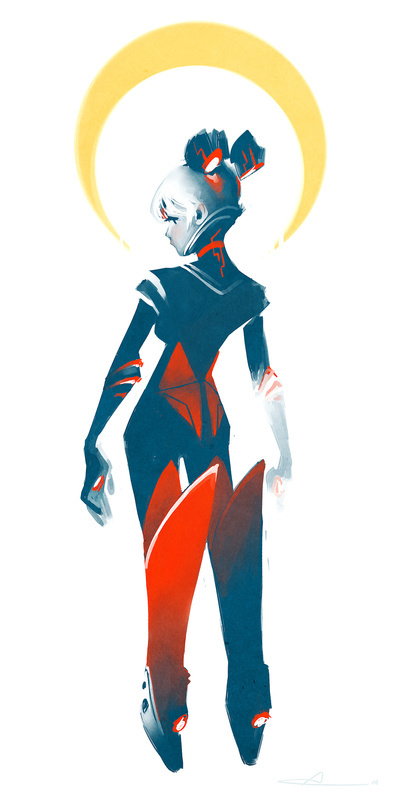 Another month and another Great roundup of artwork. I know what most of my evening is going to be spent doing... lots of page browsing and cooing at the cuteness! Really hope that Pooh art gets prints soon I love it. As always, here's hoping I get to finally pick from the art board! Lots of great finds this time! Love all your art pics! As always, hope to win one of these days! These prints are all gorgeous! 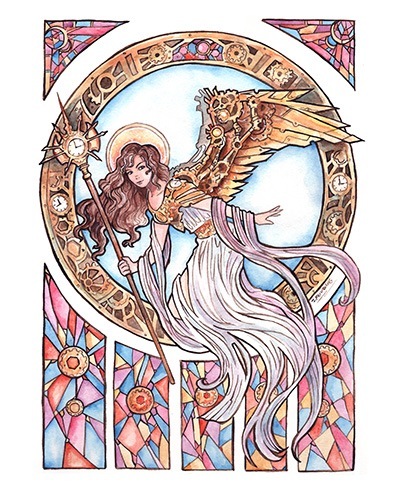 Loving the steampunk angel and the Rapunzel! I love your art round-ups - I'm going to keep an eye on the Winnie the Pooh artist and hope she puts up that print in her store soon! gotta get the batman one for my son Bruce's room! All the cute! Especially the Winnie the Pooh. Another great round up! Love the Winnie the Pooh pic, and that Ewok is adorable! You always have the best art picks! So fun! 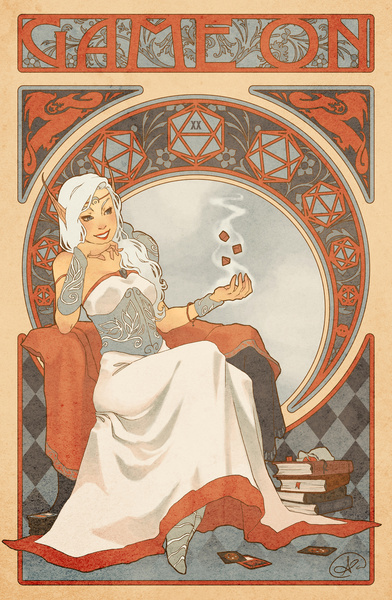 I love your art round-ups, too! I've discovered so many great artists through you! I just wish I had space to put more on my walls and bookshelves. I always love the steampunk art you find, and Disney mash-ups have become a new passion. Scott Burrough's art up there makes me smile - so cool!! I am digging the steampunk super heroes. Love that Steampunk Iron Man! Always geeky fun, I found a couple of things my sister will love for her bday! This is always one of my favorite things on epbot and I look forward to finding out about amazing artists I've never heard of before. As always, great picks! My walls are looking for inspiration! Thank you for posting these and giving us the opportunity to win some wonderfulness! Oh my goodness, gizmo and slimer?! dawwww!! would love to win something for my husbands birthday next month! he will be the answer to life, the universe and everything. 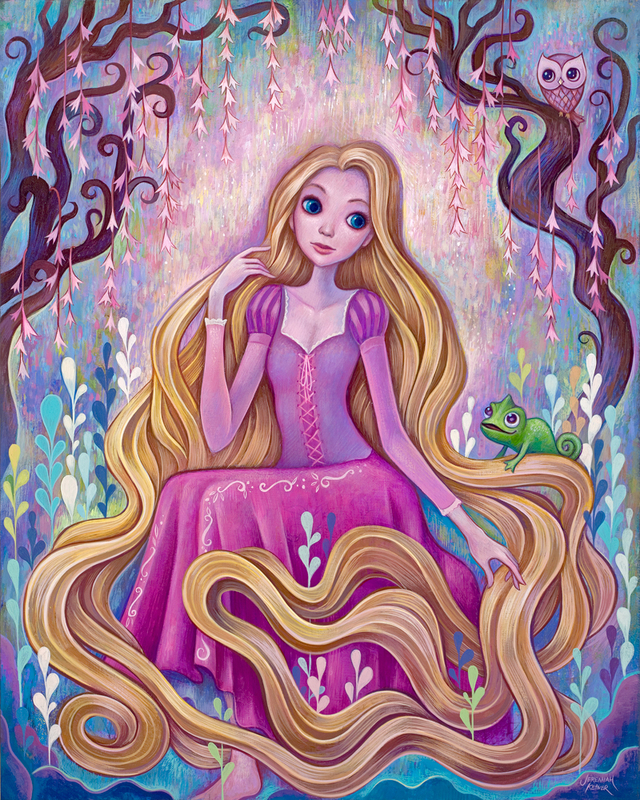 I love that Rapunzel pic! Too bad about the tedious phone call aspect, though. Love. As always. Great round up! The last one is adorable. Love it! I always love the art you find! It's so awesome! I really love to win "Harley's Tattoo"
So much greatness! I'm loving that Fawkes piece! Very cute, I love that little ewok! I'm not a big Winnie the Pooh fan, but that picture is fabulous! I hope it shows up on the website some time soon. I love all of these! So lovely. I just want to help Winnie the Pooh get the lid off the honey pot!! They all look so adorably concerned!! I love E.T. in that last one. Maleficent is magnificent, but the ewok is absolutely squee-worthy! love the e.t. one! sooooooo cute! Great new additions! Giving my luck a try cause nothing else has gone well today :P.
Oh My!! Love all the new finds!!! The realistic Pooh is so cute! I love all of these! Here goes.... fifth time's a charm!!! Especially liked the Winnie the Pooh print. Made me see the coexistence of the characters in a different, more utopian way. Sort of Peaceable Kingdom style. I'm torn, that E.T. is very cute, but in every other incarnation he has always scared the crap out of me. 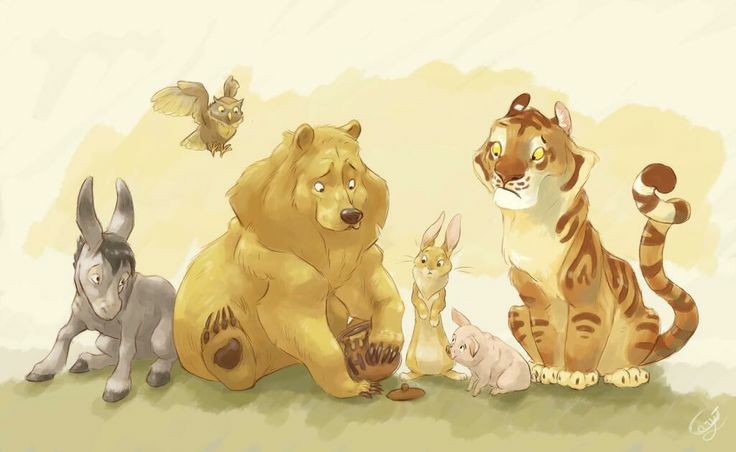 I really like the realistic Winnie the Pooh too. I would probably pick something involving a TARDIS. My house is sadly low on TARDISes (TARDI?). Lots of cute stuff this month! 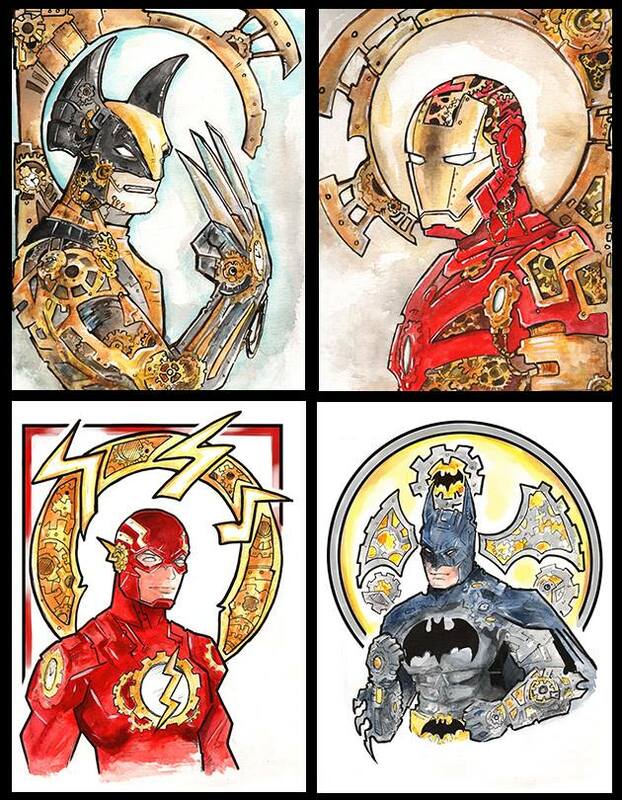 Love the Star Trek prints, the Game Nouveau, Clockwork Batman and Flash and Fawkes. Geek girl Squee!!! All my favorites in one post!!! love love love the 80's one! The Maleficent has a very Angelina vibe to it. Love. That 80s print is everything! Such a beautiful selection this time! 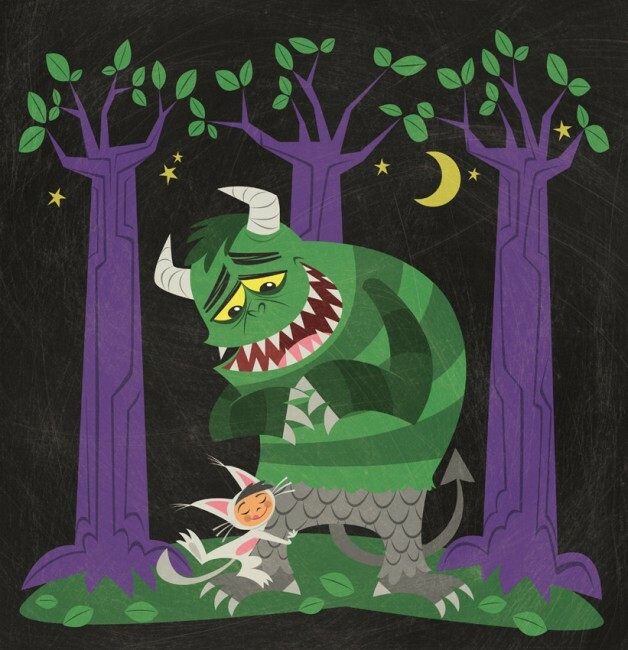 I love those Wild Things prints. Still hoping to win the Sherlock "Half Faces" print on the Pinterest board! Oh, that last one has so much squeeee! E.T. Phone home! that last one is SO freaking adorable!!! I love the first poster as well. So many different styles and themes. It's hard to choose just one favorite. But the 80s print does hit my heart spot. Love the 80's cuties! They'd be PERFECT in my 2 year-old daughter's room, I'm in the process of sewing her a vintage-style Strawberry Shortcake quilt, and I'm cross-stitching a Rainbow Brite picture! Oooh! I love the Disney ones. And the Jetson looking ones! 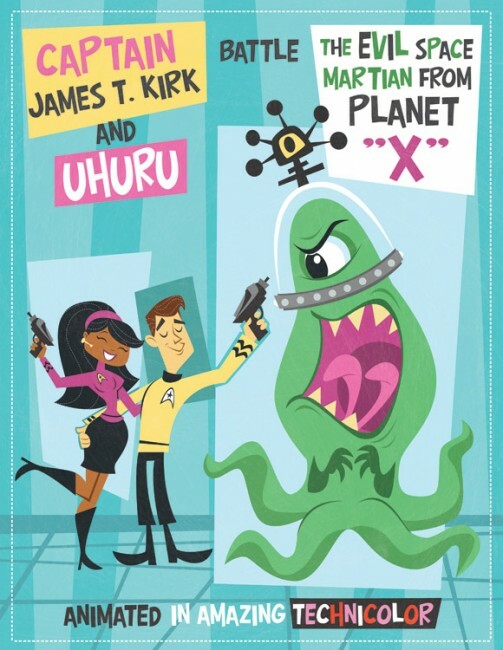 I really must have Captain Kirk and Uhuru vs. Evil Space Martian. I love it!!! So much awesomeness this month! Love it all!! I'm debating whether or not to follow that twitter feed, for fear it will bankrupt me. I already have prints I haven't hung from previous recommendations of yours! They're bringing sailor moon back! This time it's going to be closer to the original manga, but I'm still excited to see it. They are all so awesome! I think Jerrod's have got to be my favorite this go 'round though. Thanks so much for posting about geeky artists. I love finding new (to me) artists to follow. I love that clockwork dragon!!!! Yes, count me in for the drawing. AWWW The last one is so cute! Goodness, I'll be buying several of these. So great! The hubby's birthday is fast approaching and I think he'll be getting a clockwork Wolverine print for his office! i would love to get my hands on that DW Believe print PICK ME! PICK ME! I saw the '80s one last night on Pinterest and was disappointed it's not for sale -- I *need* that one, for sure! Wow! I can't believe all the new art on the give-away board. Some awesome stuff there. I think my sister will need a Dr. Who print for when her much awaited and long hoped for baby is born. Thanks for doing this Jen. You are amazing. My favourite is easily that Maleficent, which is odd because I usually go for the the Happily Ever After. The realistic Winnie the Pooh reminds me of the Animal Kingdom logo of Pooh looking at a real tiger and asking, "Tigger, is that you?" I always hope to win one of these beautiful creations! My eldest is obsessed with Iron Man. That clockwork version makes me want to try my hand at making her a steam punky version of the costume this year! My daughter would flip out over the clockwork Batman. I love the Fawkes poster! I might have to stalk the websute for one of those :) My new house is gonna need some amazing artwork! You always find the best art! I wish I could fill my home with all of it. The Eighties cuteness was to die for!! Thanks, Jen! I really hope she turns that realistic 100 Acre Wood into a print! Adorable! I love the 80s-Licious ones!! And those Wild Things would go perfect with my figures around my bookshelf! I may need to look into that closer. Would love something for the baby's nursery! That slimer on the bottom! Ahh, I must have him! That clockwork art is magnificent! Love the WTP one! Too cute. You do find the neatest stuff!! I've got my eye on that Elsa print! Beautiful! oh my word. that winnie the pooh gang! and as always, still in love with basically everything on your pinterest board! Your art roundups are always so much fun! Clockwork dragon!! Yasssss! Actually I could say that about all of these, awesome finds this month! Love your blog and your taste in art. I would love to win the Dogtor Who by Christie Cox. Love it! Lovely!! Thank you for once again sharing such wonderful pieces that I'd probably never find on my own. All I want are ALL THE KATIE COOK ACEOS. Forever and ever amen. Love the art this month, as always, especially the 80's stuff! I already can't wait for next month's Art Roundup! I'll take some of that art off you hands! Totally loving that steampunky dragon, so many amazing things again this month! Love it as usual, Jen!! Especially that last one. Geeky, retro and cute! My favourite! The Winnie the Pooh one is oh so great. And loving all the steampunk too. Thanks for sharing, and the giveaway! That Maleficient is gorgeous! She's always been my favorite villain. Love the Wild Things and princess prints! The Winnie the Pooh is great! Those princesses are too perfect! Love the Fawkes and the Disney ones! You always find the neatest stuff! I love that Gizmo so much! I love the melancholy dragon and the realistic Winnie the Pooh! I have so many friend who would adore that Star Trek print! More awesome stuff!!! I love finding new artists to drool over! I love the adorable 80's one... except Gizmo. He's so darn cute, but I *still* have nightmares from watching Gremlins when I was a child. And yes, I'm quite a bit older now. My husband teases me about it relentlessly. 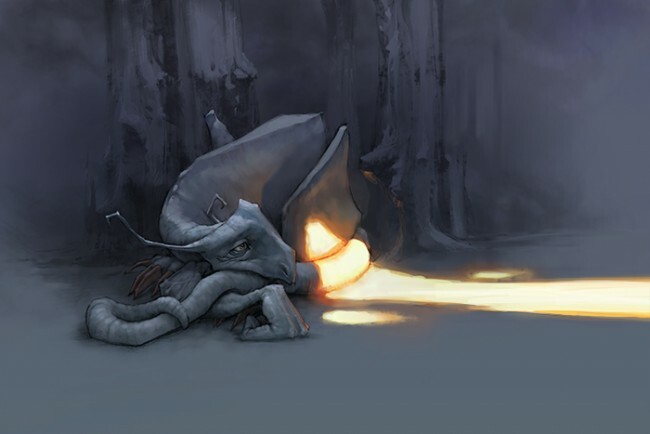 Anyway, I also adore that melancholy dragon. It's breathtaking. I always love seeing the art, but this is the first month a piece has inspired me to get off my lazy behind and purchase some! Thanks!! I'm in love with the 80s cuteness. Always did have a thing for Gizmo! 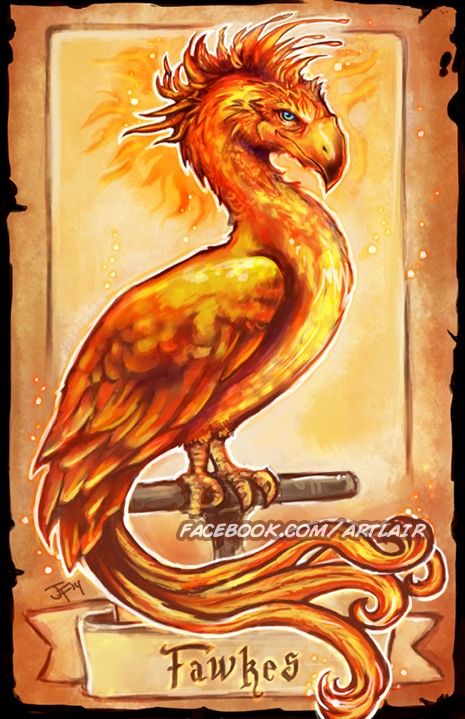 I love Fawkes!!! And also the Maleficent. She is fantastic!! That Maleficent is absolutely gorgeous! Hands down my favourite Disney villain. Love Fawkes! And the Disney Princesses are gorgeous! 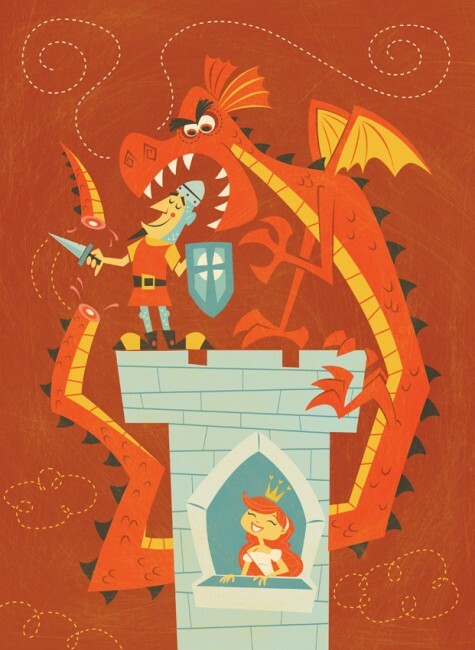 I love all of the Disney art! I love it all, especially the amazing Fawkes! Wow, I just love the Winnie the Pooh piece! You find some great stuff! 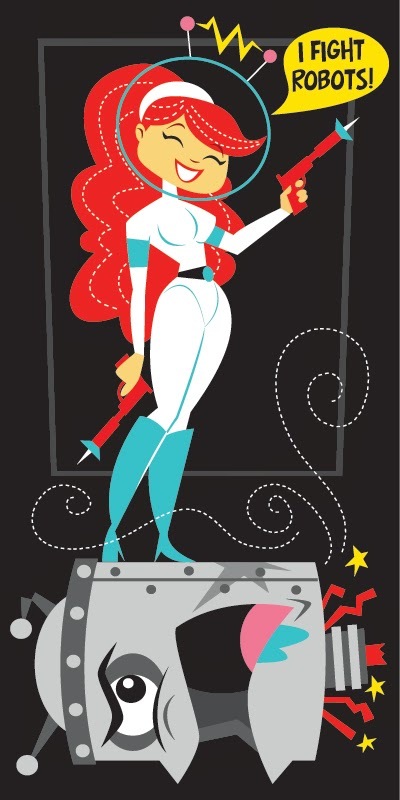 I love the Jetson-esque style of the first artist. So cute! 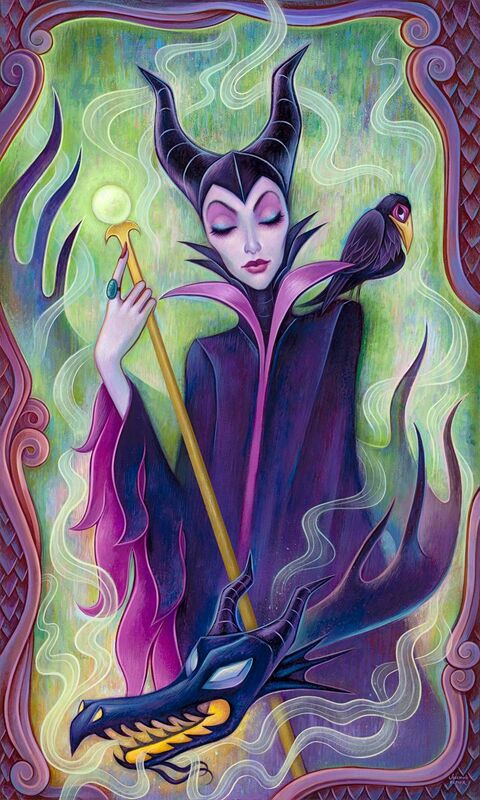 Love the Maleficent piece! She has always been my favorite Disney villain. Found u through jerrod. Glad I did!